What role do film, television and the arts play in the national dialogue on civil liberties? Does the way vital civil liberties issues are addressed on screen, stage, canvas and the page influence how they are discussed around the dinner table? 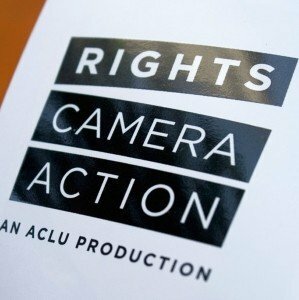 As part of the Rights/Camera/Action program, the American Civil Liberties Union worked with the Norman Lear Center to study how portrayals of government power in popular film and television affect audiences’ understanding of civil liberties. Research activities included a content analysis of popular TV shows that contain storylines about the War on Drugs and the War on Terror. The Primetime War on Drugs & Terror report was published in 2011, ten years after 9/11 and 40 years after President Nixon’s declaration of a War on Drugs. The project officially launched at the ACLU’s National Membership Conference, which took place in Washington D.C. June 7-10, 2008. The Lear Center’s Johanna Blakley led a panel discussion with artists and industry professionals about how rights on camera can be a source of both entertainment and information and a launching pad for social action. The panel included filmmaker Alex Gibney (2008 Academy Award – Taxi to the Dark Side), actor Kal Penn (Harold and Kumar Escape from Guantanamo Bay), acclaimed poet and playwright Ariel Dorfman (Death and the Maiden), filmmaker Peter Gilbert (At the Death House Door), filmmaker Rob Moss (Secrecy), filmmaker Ricki Stern (The Trials of Darryl Hunt) and the ACLU’s Anjuli Verma. Ariel Dorfman talks about the echos of Chile’s political tragedies in modern day America, and the power of literature and art in the dialogue about human rights. Check out this video interview with him as well.